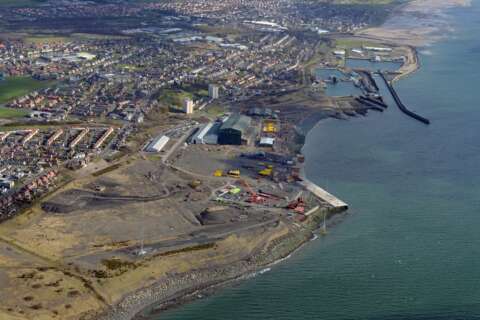 This is the former Kvaerner Yard at Methil. 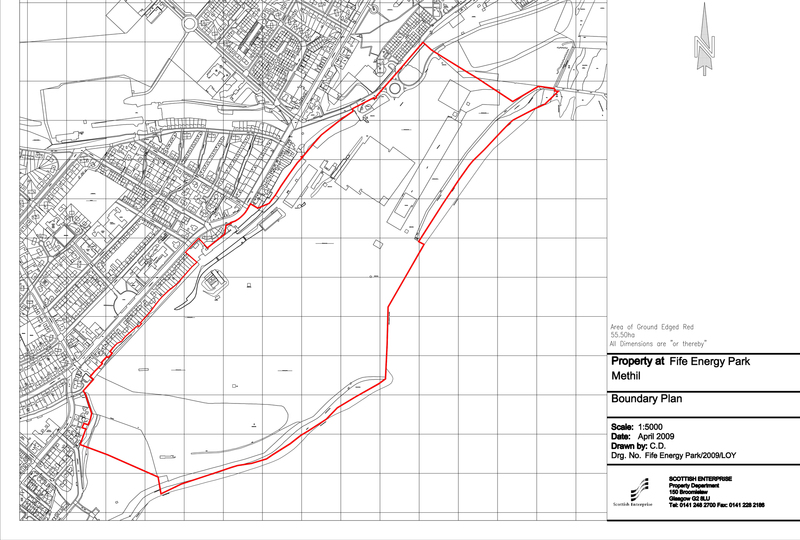 The site comprises a mixture of new development land and existing buildings (mostly occupied) with the benefit of two deepwater quaysides into the Forth Estuary. Use of the Quayside is restricted to occupiers of the Energy Park Fife only. MWHS 5.5, MWLS 0.7, MWHN 4.3, MWLN 1.9. Spring Tidal range 4.8m, Neap Tidal range is 2.4m. Quay 1 orientation is 30˚ east of north, Quay 2 orientation is north/south. Further platforming planned of the Engineering land behind the quaysides.